In order to keep pace with never ending demands of clients, our company offers Plastic Stretch Film. Owing to our in-depth industry experience and precise knowledge of this domain, we are manufacturing an outstanding assortment of Plastic Stretch Film. Plastic Stretch Film is available in various sizes ranging from 50mm to 600mm. We can also customise the thickness as per customer's requirements. Broadly used for security to unitise loads and to protect products during storage and shipment. 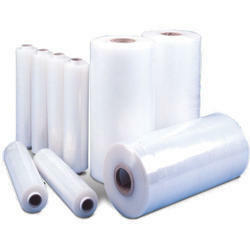 We are offering a wide range of Packaging Plastic Film Roll. 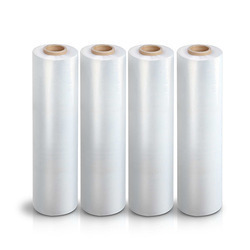 Matching up with the ever increasing requirements of the customers, our company is engaged in providing Stretch Film Roll.